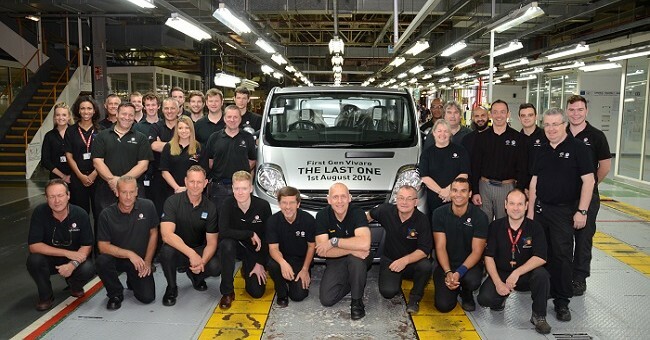 The last ever current-generation Vauxhall Vivaro commericial van rolled off of the automaker’s production line at its Luton, UK plant last week to the enthusiastic cheers of plant employees. The van was the 957,107th built there and will now be put on display at Vauxhall’s Heritage Centre in Luton. Locking in the contract to build the new Vivaro was crucial for the Luton-area job market, securing 1,200 jobs that otherwise would have been lost. An additional 250 new jobs will also be added to the plant in January 2015 as it implements a second shift to help increase the rate of production of the new van. The Luton facility nearly lost the bid to build the new Vivaro after French automaker Renault wanted the joint-developed van built at its plant in Normandy, France. The Renault plant is now tasked with building Reanult-badged versions of the Vivaro, named the Trafic, while Luton builds the Opel and Vauxhall variations. Production of the new van will begin at the plant later this month.